Glorious Gay Days: Dobby Lives! 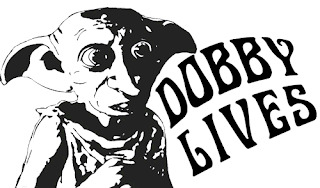 Dobby didn't die! He lives in Georgia with our cousins. When we're out and about he cleans our clothes and makes our bed. It's magical! Georgia is still here! Hooray!